In this interview, NOW’s Florence Scialom speaks with Stuart Hodgson, an inspiring graphic designer who uses his skills to make videos and visual material to raise awareness on wellbeing, through projects such as Live Better. Florence asks Stuart about his work and his ideas on wellbeing, and we also share some of Stuart’s inspiring videos below. 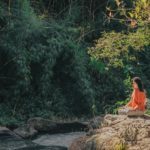 For me, wellbeing is a term that is about living well; encompassing happiness, human flourishing, fulfilment, life satisfaction, good health, good relationships, good standards of living and adequate material comfort, thriving communities and societies, and a thriving and sustainable natural environment. Wellbeing is a very meaningful term for me personally, as I guess you could say my whole life is structured around promoting wellbeing in some way, whether that is for myself, family, friends, community, the environment or through my tiny influence on the wider world. Do you see personal, social and environmental wellbeing as inter-connected? Why do you think wellbeing is an important area to engage with and raise awareness of? I think a lot of us, both individually and collectively, have become a little lost in what we are trying to achieve in our lives, our organisations and in wider society. We have become obsessed with the material and monetary side of things, and measuring progress and success in those terms. For sure, a sound economy, and on a personal level earning an adequate wage, is an important factor for wellbeing – but I don’t think it should be the ‘be all and end all’ – and the primary focus of all our activities to the detriment of other important areas. But the obsession with making more money continues to gather pace (for a country – increasing economic growth, measured through GDP; for a business – increasing profits; for an individual – getting more highly paid) – and money-orientated goals are the kind of things that we hear about most. But why this endless pursuit of money? Probably because of the belief that more money will actually promote happiness and wellbeing somewhere down the line. 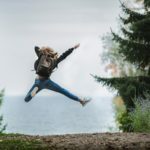 But losing the primary focus on increasing happiness and wellbeing, and shifting it to a mainly economic focus, has meant that despite an increase in material wealth over the last 40 years or so, citizens in countries such as the UK, are no more happier now. In fact mental illness, such as depression, is on the rise. And social and environmental degradation has been another extremely negative consequence. So for me, wellbeing is an important area to engage in and raise awareness of, so that it becomes a much bigger focus in all our lives. Just imagine living in a society where promoting wellbeing was a chief aim, and a main measure of success. Where a government’s chief priority was concerned with creating the conditions to increase the wellbeing of its citizens, communities and environments. 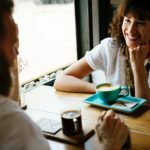 Where businesses and organisations truly cared about the wellbeing of its employees (and were more successful and productive as a result), and where each of us as individuals judged how successful our lives are by evaluating our personal wellbeing. Imagine how much better things could be; a society that is not just chugging along and staying afloat, but absolutely thriving, with its people flourishing. A truly inspirational society, with wellbeing at its heart. It’s that vision that makes wellbeing an important area for me to engage in and raise awareness of. What have you learned through your work on wellbeing, health, happiness and social progress? I guess from a personal point of view, I’ve learned a lot that has helped to directly improve my own wellbeing, health and happiness. In my late teenage years/early twenties I used to have regular flare ups of a debilitating bowel illness called ‘Ulcerative Colitis’, which impacted my life a lot when it flared up. But through learning, and testing things out on myself, I managed to significantly improve my wellbeing and health to the point where my colitis is now in remission (touch wood! ), and has been for years, without the need for medication. On a wider scale, I’ve learned the imporance of having a positive vision to get behind. There are a lot of campaigning groups out there that are always against this and that, a lot always seem to be protesting against something. Don’t get me wrong; there are a lot of injustices out there and we need people campaigning on these issues, we really do – but as well as being against something, it’s inspiring and motivating for me to be ‘for’ things too – and the whole wellbeing area is something that encompasses a lot of positive areas (when you really understand what contributes to wellbeing of individuals, societies and the environment). In this respect, I like the Buckminster Fuller quote: “You never change things by fighting the existing reality. To change something, build a new model that makes the existing model obsolete.” And for me, the focus on a wellbeing model is what will really help change things for the better. What motivated you to start Live Better, and to share inspirational quotes and videos with others? I’m a designer by day and a fairly creative and digitally savvy person, and that’s where a big chunk of my skills are – so I thought one of the best ways I could contribute towards raising awareness of wellbeing and trying to positively inspire people was through my self-initiated design projects – blogs, articles, videos, inspirational quotes websites – all created under the banner of ‘Live Better’. I chose that name as that is what I’m precisely trying to help people do (including myself) – Live Better, and by Living Better I mean living with better wellbeing. I must add, I don’t want to come across as preachy and all knowing here, because I’m not; I’m on a big learning curve. I’ve just chosen a path for my life which is about trying to increase wellbeing, and I’m just trying to share insights that I come across that have helped improve my wellbeing, in the hope that they might also be useful to others and promote wellbeing on a bigger scale. And if what I create and share is useful in the slightest to anyone – and helps contribute towards increasing wellbeing on a wider scale – then that brings enourmous satisfaction to me. What is the best way people can stay in touch with you and keep up to date with your work at Live Better? 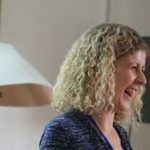 I have quite a few outlets for Live Better, and have utilised various online and social media platforms to try and reach as big an audience as possible. I also have another blog where I put my personal musings via Live Better Inspiration. I find by writing my thoughts down it helps clarify my understanding a little! Usually anything new that I create is shared on the Facebook page (as well as sharing any articles and stuff relating to wellbeing), so if you want to stay up to date with the new stuff, the Live Better Facebook page is a good place to keep an eye on things. 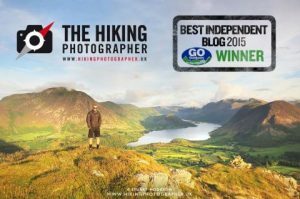 I’ve also set up a blog which combines my passion for the outdoors with my photography skills, which won the Go Outdoors Best Independent Blog Award 2015. And if you want to get a feel for more of my creative and design work in general, or contact me personally about my design services, then you can find more info here http://www.stuart-hodgson.com. Huge thanks, Stuart, for taking the time to speak with us and share your ideas on wellbeing! What do you think of the ideas shared in this post? What are your favourite inspiring quotes or wellbeing tips? Share your ideas in the comments section below!